Brainard Ave. and 44th St.
Research has shown that community gardens help individuals and families connect, reduce stress, increase physical activity, share quality time in the outdoors, improve nutrition, and even save up to $1000 per year on grocery expenses. Community gardens; especially military community gardens are special. A military community garden; in addition to all the expected benefits, can provide a sense of belonging, or "roots" – despite our nomadic military lifestyle. Research shows that military gardens can create a real sense of belonging and minimize turmoil associated with deployments and other long separations (Bowen, et al. 2003). Having a dedicated place to support growth (literally and figuratively) is a benefit, especially when considering space constraints in housing, dorms, or apartments. The Fort Gordon Community Garden is a chemical-free, bird, bee and kid friendly garden. We are a teaching garden for Fort Gordon Child & Youth Services (CYS) programs. We also have support programs for all new gardeners and are a place to share garden tips and advice for every level of gardening experience. The Fort Gordon Garden Club meets the 3rd Thursday of each month at 5 p.m. in the Fort Gordon Woodworth Consolidated Library. 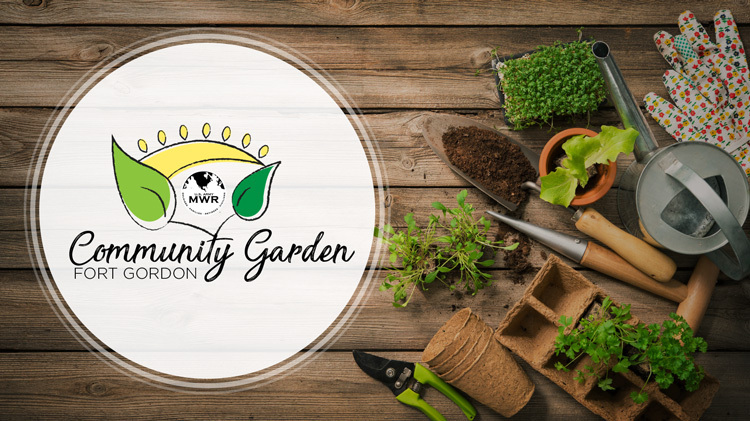 The club will also meet 1 Saturday each month at the community garden for special garden topics and practical workshops. Plots are 9 x 18 feet. Registration for plots will be available to previous year's gardeners the 1st Monday in February, and will open to the general public the 1st Monday in March. The garden opens the 1st Saturday in March. Interested in being a Section Host? One benefit is a subsidy to your plot fee. Check out the Section Host Agreement to see if this is for you. Step 1: Log In to WebTrac and click "Purchase a Plot"
Plots can be purchased though our online WebTrac service. If you already have a WebTrac account, log in and then click the “Purchase a Plot” button at top portion of this page. If you do not have a WebTrac account, go to the Fort Gordon Recreation WebTrac Page and click on "Need an account?" on the left side. Fill out the registration form and submit. Once your account is approved (may take 2-3 days after registration), log in to your WebTrac account and then click the "Purchase a Plot" button on this page. Once you arrive to the WebTrac Garden Plot Purchasing Page, you'll see a list of plots to choose from. Select the clock icon to check availability of the plot. Once you've selected your plot and have checked its availability, you can click the "Add to Cart" icon to complete your purchase. Wood chips, straw, leaf mold (partially decomposed form of shredded fresh leaves), grass clippings (no seed heads, no weeds), sawdust, rice hulls, pecan hulls, clean non-printed cardboard, new paper (non-colored sections) overlapped 6 inches and 3 to 6 inches thick can be used under organic mulch. Organic Herbicide Recipes: The most effective and surefire way to get rid of weeds is to pull them before the seed head develops. Vinegar Solutions: According to research, vinegar solutions are the best organic alternatives to herbicide treatment. Put in a spray bottle with warm water and spray weeds for 2 days. Organic Pest Control Recipes are nice to children and beneficial insects. 2 tbsp. Himalayan salt into 1 gal. of warm water. Then add 1tsp. cayenne pepper and 1 tbsp. of liquid soap. If stored in fridge, it will keep for a week. Epsom Salt (MgSO4): When lacking magnesium, MgSO4 is a great solution. Epsom salt does not go well with sage. These rule are established for the common purpose of providing a safe and friendly place for Fort Gordon gardeners of all ages. The term "Gardener" or "Plot Holders" refers to the person(s) who have signed for a plot and his/hers household. All gardeners are responsible for knowing and abiding by these rules. This is a chemical-free, bird, bee and kid friendly garden. A list of approved fertilizers, herbicides, pesticides and organic substitutes are provided and strictly enforced. No human waste based fertilizers are allowed. If you have an organic substitute you wish to use, you must provide the formula to the Garden Coordinator for review and approval before using in FGCG. This garden is used as a "Teaching Garden" for Fort Gordon Child & Youth Services (CYS) programs; as such, we follow AR 608-10 prohibited toxic plant list. This list is provided to every gardener with their application and can be found here. When CYS programs are present the FGCG is closed to all other gardeners to meet AR 608-10 guidelines for child abuse and prevention. Water spigots, hoses, and hand tools are available for use. These are located in the FGCG shed. There is a one-time fee of $45 per 9 X 18 plot with application. These fees will be used in the garden program for maintenance, to replace needed supplies and, support educational programing for all of our gardeners. Plots will be available for early registration to previous year’s gardeners the first Monday in February and open to general public the first Monday in March. The garden will open the first Saturday in March. Gardeners must plant and show maintenance of their plot within 2 weeks of assignment or the plot can be declared abandoned and will be released for reassignment without reimbursement. 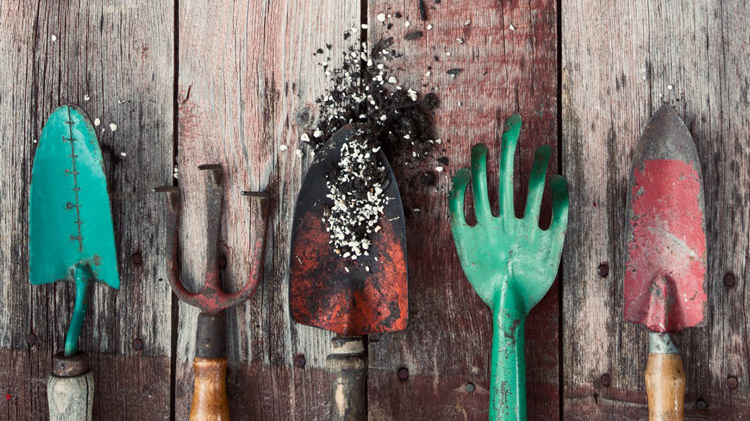 Garden plots must be cleared of all extraneous items to include, but are not limited to: decorations, border fence, twine, boards, plant cages, soaker systems, weed barrier fabric, stakes, trash, etc. by the second Saturday in December. Any plot holder(s) in violation will not be allowed to be re-assigned a plot without written appeal and approval by the Garden Coordinator. Each gardener, their family/household is expected to respect the boundaries of their plot in all endeavors while in the garden area (This includes your music – please use headphones). Respect each plot as private property, never enter another plot without that plot holder’s consent. Your household pet is not allowed in FGCG. Please wear appropriate attire: Not too much skin exposure, vulgar or offensive images or words, and no bare feet. (See Commanders Policy on Appearance No. 16 section b. Prohibited attire). Children must have direct line-of-sight supervision at all times for safety. FG Policy 15 Supervision of Children is strictly enforced. FGCG gardeners must maintain a minimum of a 12 inches clear soil line at all times on all shared sides of garden plot. Plants and weeds must not intrude on garden neighbors or into pathways. Vertical gardening must not exceed 5 ft. and must not impede sunlight to neighboring plots. Approved mulch or other weed deterrent may be used in this area. (See Information tab on this page for approved much, pesticide and fertilizers list). Garden plots need to be attended at least weekly. Make arrangements with fellow gardeners to attend your plot if you will be unable to maintain it. Equipment Use: FGCG has hoses and hand tools available for use in the shed, these are to be shared. Equipment must be washed off before returning to shed. Use equipment only for what it was designed for. Store FGCG equipment neatly for safety and to prevent damage. Tools may not leave the garden area and will be treated as theft of Government property. Report any damaged equipment to the Garden Coordinator. Place reports on the "Attention Garden Coordinator" shelf and post-it board in the garden. To contact via email, use the "Email Us" button at the top of this page. Office number: +1 (706)791-9483, cell +1 (706)831-5919. Watering: Each plot is limited to using 1 watering spigot for no more than 30 minutes at a time. The plot holder must be present during watering to control run-off and over-spray into neighboring plots. Sprinklers are allowed but cannot be left attached to hoses. Early morning or early evening is the best for watering. Water restrictions may be enforced as required by the installation. Composting: Contributing to the FGCG composting area is encouraged. Please use provided bins for green compost: fruit or vegetable scraps, coffee grounds, tea, garden refuse or green grass (not diseased plants or weeds). Use provided tubs for brown compost: clean paper/clean light cardboard, dried grass, fall leaves, straw, and sawdust or wood chips. Compost equipment is part of the educational program, loading a 50/50 mixture of green and brown and watering the compost will only be done by the CYS program or under the direction of the Garden Coordinator. Yellow Flag – This flag is placed until the problem is corrected or for 7 days. This is "Caution" on a problem such as: Plots not being weeded regularly, plants going to seed, needs watering or has been over-watered, plot ripened fruit/vegetables not harvested and allowed to rot/waste, plot looks abandoned, not maintained. Red Flag – This is a "final notice" flag. After the yellow flag has been in place for more than 7 days a red flag will be placed for 7 days. A red flag allows your neighbors to tend your area and harvest what they want to prevent spoilage. If you want to keep your plot you must contact the FGCG Coordinator immediately. White Flag – This flag shows that the plot seems to have been abandoned and is now available in an "as is" condition for another gardener. Any fellow gardener can harvest, weed and maintain this plot until it has been reassigned and flag removed. Any gardener who has been White Flagged cannot be reassigned a FGCG plot. Exceptions are reviewed case-by-case by Garden Coordinator.